It’s a new year, and for most of us, that means making a resolution or two. Here’s an important resolution you may not have thought of: Resolve to test your home for radon. January is National Radon Action Month, and it’s a good time to take time to protect yourself and your family from this dangerous element. 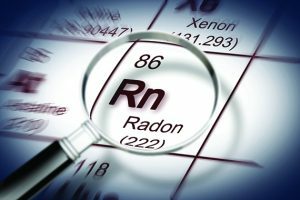 So, what’s the deal with radon? Radon is a radioactive gas that can leak into your home from the surrounding environment. You can’t see or smell it, but in high concentrations, it can be deadly. In fact, radon is the second leading cause of lung cancer deaths behind smoking, killing approximately 21,000 Americans each year. Radon is produced by the natural decaying of uranium, which is abundant in soil, rock and even water. Radon gets inhaled and accumulates in the lungs, where it irradiates the cells of the airways. It is this process that increases the risk for lung cancer. If you smoke AND your home has a high radon level (EPA Assessment of Risks from Radon in Homes), your risk for lung cancer is especially high. There are no immediate symptoms of radon exposure. Lung cancer is the only health condition conclusively linked to it, and lung cancer can develop years after radon exposure. Lung cancer symptoms include persistent coughing, shortness of breath, hoarseness, coughing up phlegm tinged with blood and recurrent bronchitis or pneumonia. To date, no other respiratory illnesses have been definitively linked to radon exposure. The amount of radon found in the soil around your home depends on the chemical makeup of the soil, and soil chemistry can be slightly different from house to house. The volume of radon that escapes from the soil and gets into your house depends on several factors. These include the weather, the amount of moisture in the soil and the suction power within your house. To make its way into your home, the radon gas escapes the ground soil and seeps into the air. It then gets into your house through cracks and other holes in the foundation that might not be apparent. The gas can get trapped inside your home and build up to a dangerous level. Sometimes, radon can get into the house through well water; and in some homes, the actual building materials can give off radon, although this is not common. It is estimated that nearly one out of every 15 homes in the US has an elevated radon level. The only way to be sure if your home is affected is by testing. 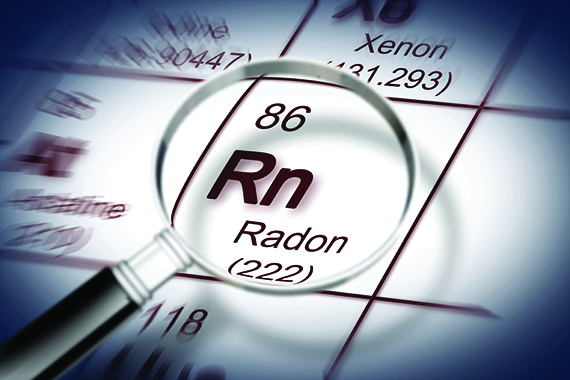 The EPA and the Surgeon General recommend radon testing in all homes and schools. You can also find out about any radon problems in schools, day care centers, other child care facilities and many workplaces by visiting EPA – United States Environmental Protection Agency. There are two general ways to test for radon, short-term testing and long-term testing. Short-term tests are left in your home for two days to 90 days, depending on the test. Short-term tests don’t tell you your year-round average radon level, but they can help you decided whether or not to make changes to your home to fix any problem. People typically do two or more short-term tests to confirm a radon problem. Long-term tests are left in your home for longer than 90 days and give you a better idea of your yearly average radon level. You can do the testing yourself, or you can hire a professional tester to do the job for you. Do-it-yourself test kits are available at many home improvement and hardware stores or online. If you choose to hire someone, be sure to first check with your state radon office and ask for a list of qualified testers in your area. If two consecutive short-term tests or a long-term test indicates a high level of radon in your home, it’s time to consider making repairs to mitigate the problem. There are several ways to reduce radon levels in your home. The most common method is by installing a vent pipe system and fan that pulls the radon from beneath your house and releases it outside. Sealing cracks in the foundation and other openings can make this repair more effective and cost-efficient. Like the testing, you can choose to do the repair work yourself or hire a qualified radon mitigation professional. If you choose to do it yourself, there are many resources online that give you suggestions and directions for reducing radon levels in your home. More information can be found in this booklet and others from the EPA. Excessive exposure to radon can be prevented through careful testing and, if necessary, repairs to your home. By taking a few common-sense steps, you can protect yourself and your family from an increased risk for lung cancer. That’s a New Year’s resolution that can save your life!